Whenever you have to go for picnic, hiking or traveling far with friends or family, you probably need a best camera which is good at charging and need to beautifully save your snaps. Due to resolutions moving problem with most of the cameras, capturing the spontaneous moments become a big issue. Latest cameras have best many features regarding the solar empowerment and hard to break during accidents or falling down on the ground. 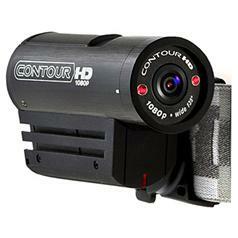 But, award winning Contour ROAM camera is the right selection for photography. It is difficult to count the number of missed photos or those captured but with low quality resolution, mostly the moving objects photography is difficult with many of low quality cameras. ContourROAM camera is little in size, much hard and bears high resistance, along with high quality making snaps features and can switch to video mode in only just two seconds. This camera is water resistant and has wide angle rotating lens which will give your high quality photography for moving objects at high resolution. But how much latest features have been equipped with ContourROAM camera? During skateboarding in rain or running at speed, this ROAM is much tough and will bear the any resistance. In first glance, you will realize that ROAM is smaller in size and will easily fit in the pocket. You will need to simply rotate the record switch and it will save HD videos from your contour camera. Contour camera is waterproofed, tough and resisting the damage while falling from height, it has smaller size and versatility look. With its rotating lens and a laser, user will get the right shot at right time. Its 170 degree rotating lens is good to record actions which will be missed with any other camera, this is best at background capturing at high resolution with vivid clarity. In ContourROAM camera, the resolution and white balance is adjusted according to latest features for giving the image a natural look. When you are selecting the new camera, video resolution is one of the main features to consider. 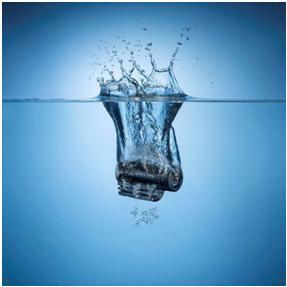 Photography at beautiful water waves and working at 60 meters beneath the water surface are such those features which will make this camera the top at its functionality. This camera has auto rotate feature for sports video recording, its surface is tough and resist the damages in dirt, dust or striking. ContourROAM camera has been designed to encounter with stones, mud and dropped from icefalls. It can record audio with its built-in multi-directional microphone and store the data up to 32 GB through its external memory card support and you can share at your PC or Mac these photos.